Dylan Horrocks (Cartozia Tales #1) is the author of the groundbreaking graphic novel Hicksville, which takes place in a small town where everyone takes comics seriously. He has also written several webcomics, and many other stories. He also wrote "The Perfect Planet: Comics, Games, and World-Building," an essay that was one of the major inspirations for the Cartozia project. He lives in Maraetai, New Zealand. Jon Lewis (Cartozia Tales #1) has been writing and drawing the seminal indy comic True Swamp on and off since the early 1990s. His sense of world-building, and the way that he makes his non-human characters feel both authentic and weird, makes him another inspiration for this project. He lives in Brooklyn, New York. Adam Koford (Cartozia Tales #2) is a cartoonist and freelance illustrator who has worked for MAD, Make, Twitter, The Daily Show, Woot!, and BoingBoing. He's the creator of the long-running webcomic The Laugh-Out-Loud Cats and (at his day job) a story artist at Disney Interactive. 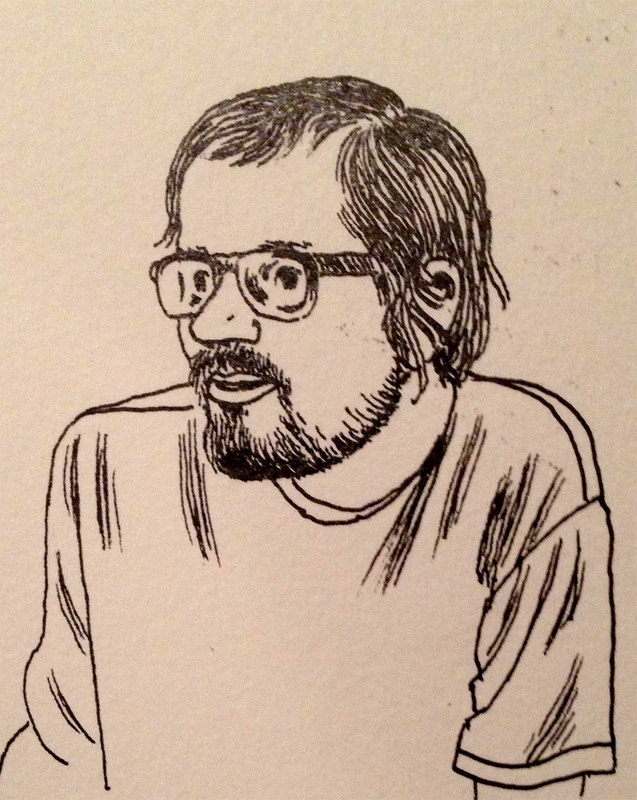 He also illustrated every one of the 700 hoboes listed in John Hodgman's The Areas of My Expertise. He lives in Farmington, Utah. James Kochalka (Cartozia Tales #2) is a prolific cartoonist best known for his American Elf autobiographical strip, which depicted his daily life from 1998 to 2012. He is also the author of many comics for kids, including the Johnny Boo series, Peanut Butter & Jeremy, and Dragon Puncher. He is also a rock superstar and the first Cartoonist Laureate of Vermont. He lives in Burlington, Vermont. Kevin Cannon (Cartozia Tales #3) is the author of two brick-like Arctic-adventure graphic novels, Far Arden and Crater XV . He has also collaborated on such works as Evolution: the Story of Life on Earth (with Jay Hosler and Zander Cannon) and T-Minus: the Race to the Moon and Bone Sharps, Cowboys, and Thunder Lizards (both of those with Jim Ottaviani and Zander Cannon). When he's not watching hockey games, you will probably find him illustrating covers for indie weeklies or creating maps for local bike events. He lives in Minneapolis. Evan Dahm (Cartozia Tales #3) has drawn and self-published more than 1,500 pages of comics set in the invented world called Overside, including the graphic novels Rice Boy, Order of Tales, and Vattu. He is also a founder of the publishing company Benign Kingdom. He is from Asheville, North Carolina, and he currently lives in Brooklyn. Jon Chad (Cartozia Tales #4) has been publishing comics and zines since 2006. He has designed and cartooned several formally innovative minicomics, and he is the author of Leo Geo and His Miraculous Journey through the Center of the Earth and its sequel, Leo Geo and the Cosmic Crisis. He has worked for clients ranging from the Atlanta Braves to Adventure Time, and from the FBI to various pinball leagues. Jon lives in Vermont, but he's about to move to Western Massachusetts. Chris Wright (Cartozia Tales #4) is known for a pair of strange indy comics that are definitely not for kids: a collection of shorts called Ink Weed and a dark maritime graphic novel called Blacklung. His stories are filled with a depth of imagination that matches his intense cross-hatching: I've always been impressed with Chris as a maker of off-kilter worlds, and I'm bowled over by what he added to Cartozia's past. He lives in Richmond, Vermont. Corinne Mucha (Cartozia Tales #5) has created a ton of fun comics, from her self-published minicomics to pieces in places like Chicago Magazine, The Philadelphia Inquirer, and Cicada. You might also know her graphic novel for teen readers, Freshman: Tales of 9th Grade Obsessions, Revelations, and Other Nonsense. Some of her shorter work is collected in Get Over It!, published by Secret Acres. Originally from southern New Jersey, she now lives in Chicago. Luke Pearson (Cartozia Tales #5) is known for his fun, quirky, slightly spooky series of graphic novels about an adventuresome young girl named HIlda — including Hildafolk, Hilda and the Midnight Giant, and most recently Hilda and the Black Hound. He has also drawn storyboards for Adventure Time and a cover for The New Yorker. He lives in England. Future guests will include Kelly Sue Deconnick, Meredith Gran, Joe Lambert, Jason Lutes, Aaron Renier, Ben Towle, Peter Wartman, Maris Wicks and more!